January 21st, 2016. The Digimon World -next 0rder- title site updated its system and character pages today, elaborating on the game's multiplayer mode. According to the newly updated system page, -next 0rder- will contain over 200 raisable Digimon, including the "rare Digimon" Agnimon, Susanoomon, Shoutmon, and Gumdramon. 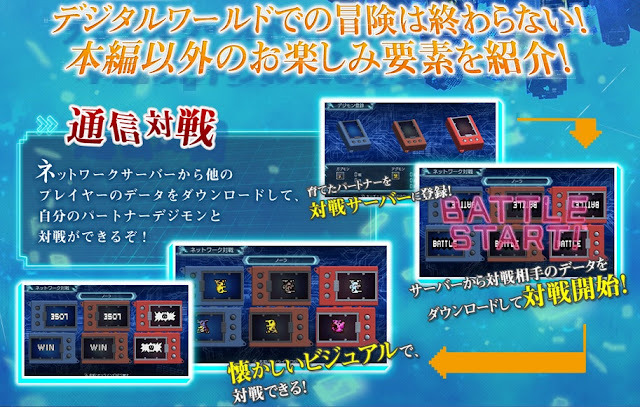 The game will also feature a network server that tamers can upload their partner Digimon's data to, and download other tamers' data from to battle with. 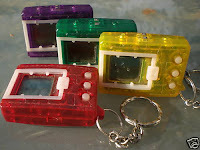 Tamers use the system by first registering the partner they raised with the battle server, then downloading other players' data, after which up to six Digimon can be paired to battle at once. The network battle mode uses visuals based on the nostalgic image of the 1996 Digital Monster virtual pets, and displays the nicknames of each Digimon being battled rather than their species' names. The update also reveals that after tamers clear the storyline, an extra dungeon the "Different Dimension Dungeon" will open up. Boasting a high degree of difficulty, this dungeon contains a powerful Ultimate level boss. The latest character introduced is Gaioumon, whose profile is given below. 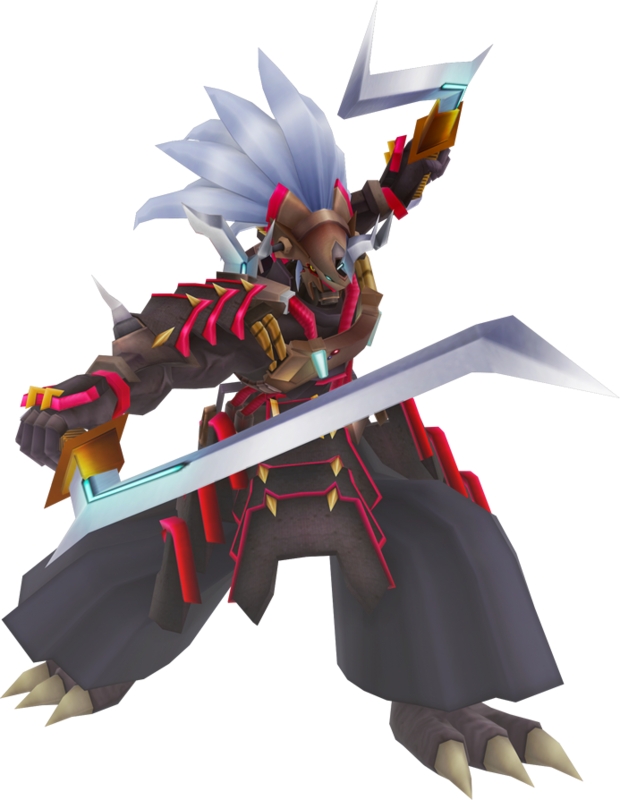 Note that Gaioumon was renamed Samudramon in the Saban Xros Wars dub, but is officially "Gaiomon" in all of Bandai's English-language video games. "Without doubt, you will come no further." A strong opponent who stands before our heroes. Holding their pride closely, they continue to vigorously seek strength and do battle. They are a combat-species Digimon who seeks the truth. Desiring to face strong opponents, with the purpose of fighting the ultimate Digimon he travels with Shouma. Singlemindedly pursuing power, he lives for that alone. Digimon World -next 0rder- will launch in Japan March 17th, 2016, on the PlayStation Vita for 6,980 yen (7,539 JPY after tax). It is the latest entry in the World series, succeeding directly from Re:Digitize Decode on the 3DS, Re:Digitize on the PSP, and World on the PSX. Those that preorder the game will get access to five special DLC Digimon, a remastered copy of the 1999 Digimon World soundtrack, and two original Vita themes, "ver. Nostalgic" and "ver. Dot." Theme ver. Dot features a montage of original Digimon LCD sprites, while theme ver. Nostalgic turns the screen into the layout of a Digital Monster virtual pet. more than 200? oh man that's a disappointing one. Cyber Sleuth said it has more than 230 but the reality it's only 240, 10 more than the said "more than 230"
considering they added some digimons like crimson mode, susanoomon, agnimon, shoutmon, gumdramon, and some many underrated digimon, then how many roster will be cut from cyber sleuth? I'm afraid most of the rosters will be mainly focused from anime, again. You're forgetting this is a Digimon WORLD game, not a Digimon STORY game. The last World game, Re:Digitize Decode, had 160 playable Digimon, so this is already and upgrade. Plus we've seen mons like Kuzuhamon and Piddomon, so I don't think you have to worry on too much anime representation. still, I think we can't see the rosters we saw on Decode in this game, I'm afraid Chaosmon is absent once again and they only care of the popular roster from the anime and RK one. Yeah I knew, we see some unexpectable digimons like Pidmon and Turuiemon, xros wars digimon and frontier, but I'm afraid they will replace other rosters, not adding it into new numbers. Honestly, you can pretty much forget any Digimon game having more than 250 anytime soon as long as 3D modeling requires them to individually model out and animate each Digimon. We're not in the 2D pixel art age anymore. isnt that today live stream for next order right? Not for five more hours.